*Please note that these Tips only fit the smaller Clarke machine range excluding the new 145/152/180/196 Models listed here. For larger models 160T/TE/TM and 165TE/TEM use these parts. 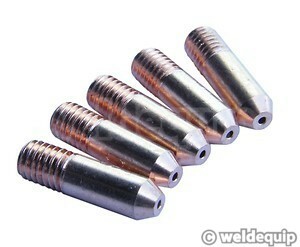 18mm long x M5 thread. 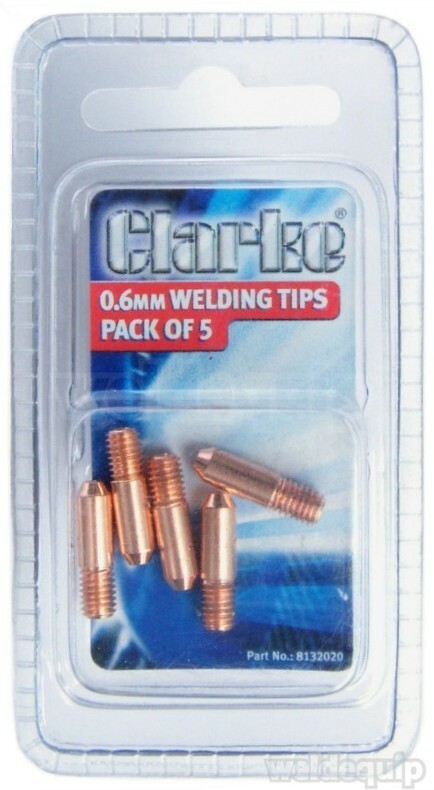 These copper contact tips will fit all models of Clarke hobby MIG up to (and including) the 160EN model, but excluding the new 145/152/180/196 Models. Contact tips transfer current to the wire, so it's important to replace them when they become worn or distorted.